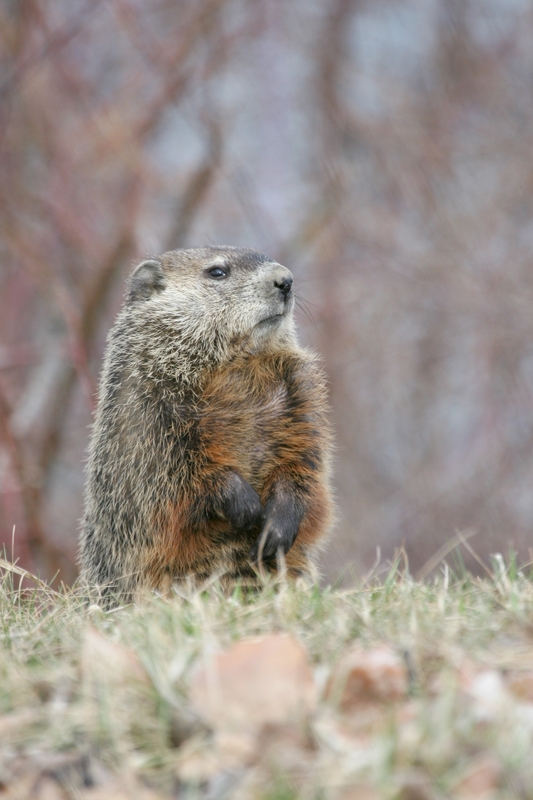 Woodchucks are large (up to 10 pounds) rodents native to much of North America. They inhabit open areas, backyards, and woodland edges and forage on grasses, flowers, vegetables, fruits, nuts, and crops. Woodchucks are well adapted for digging, and live and hibernate in burrows, which typically have a main entrance and one or more escape entrances. They also are good climbers and can scale fences and climb low trees. Woodchucks have few natural predators. When threatened, they prefer to retreat to their burrows, but will climb and swim away as well. They are active during the day and sleep at night, and enjoy basking in the sun. True hibernators, they enter their dens in late October or November and reemerge in late February or March. 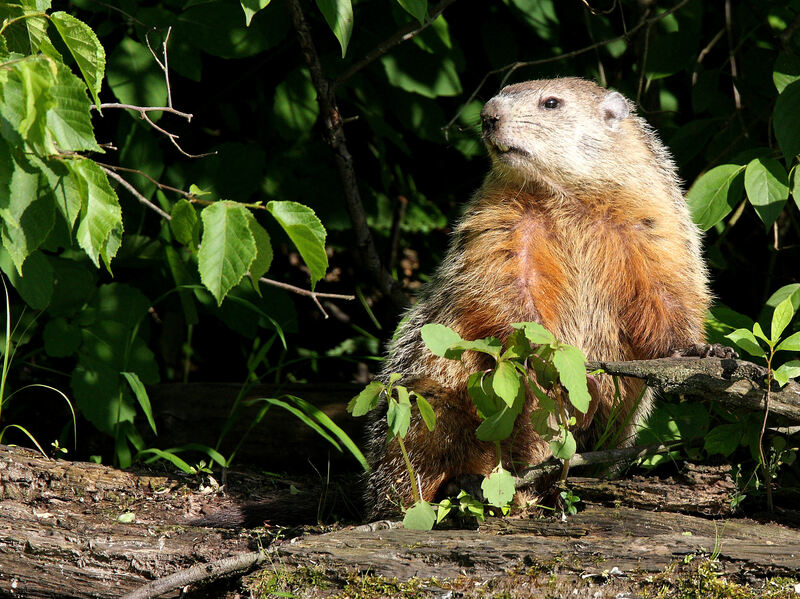 Woodchucks damage garden vegetables and fruits, eat ornamental flowers, and debark trees. Their burrows can undermine foundations and fences and pose a hazard to equipment, animals, and people. They give birth in April and May with litters averaging four to five pups.